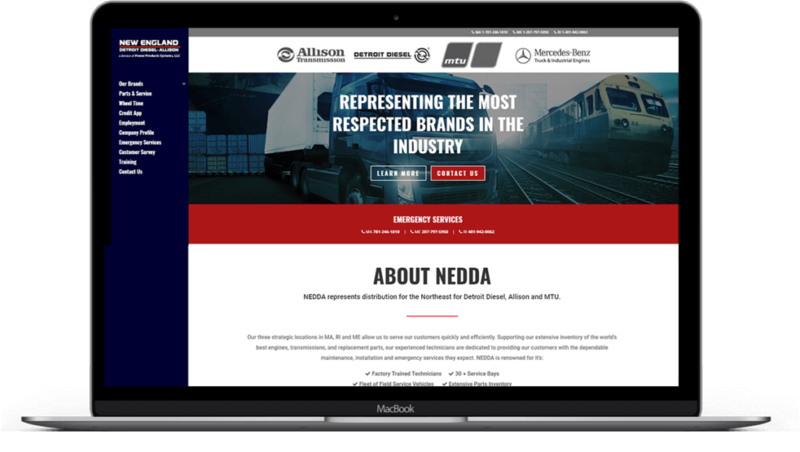 New England Detroit Diesel-Allsion (NEDDA) was lacking a content management system to help streamline website optimization and content publishing. 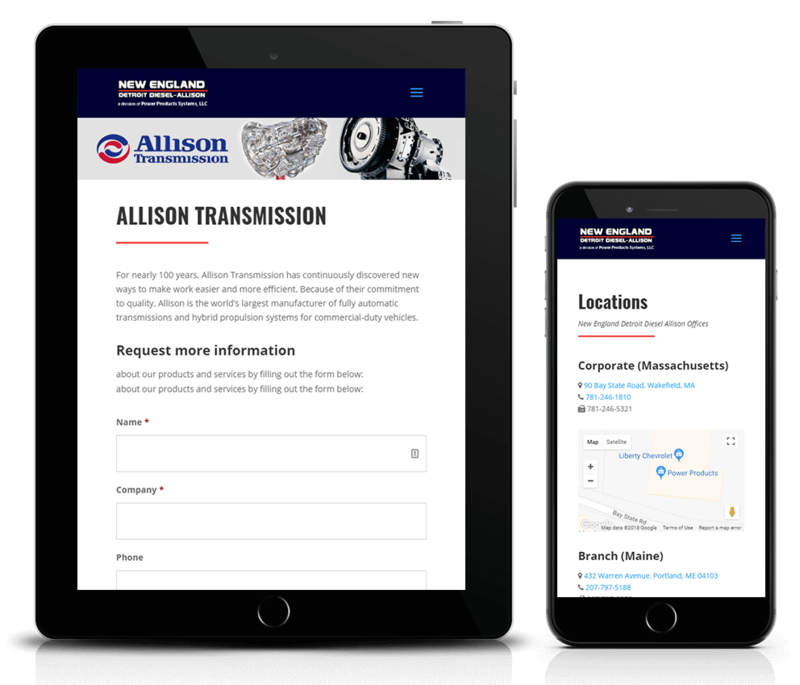 Our challenge was to develop a responsive website and close the attribution loop to enable transparent tracking between marketing activities and sales. Our solution was a responsive WordPress website with a modern design. The refreshed design uses full-width imagery and a stronger presence for their represented brands. We also got the client started with the Hubspot CRM, phone tracking, and SEO gameplan.